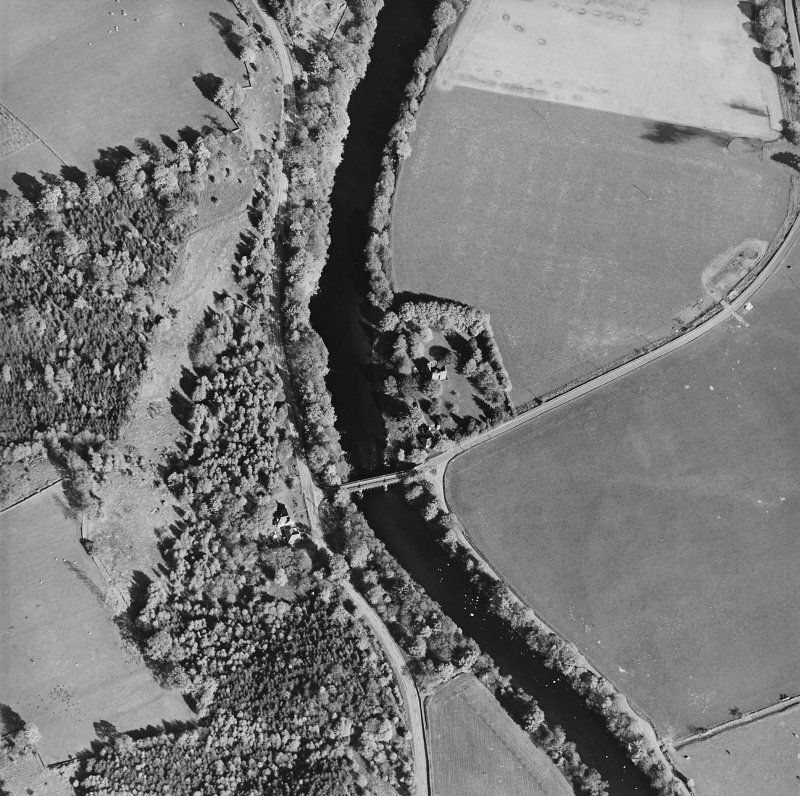 Oblique aerial view centred on the remains of the tower-house with road bridge adjacent, taken from the WSW. 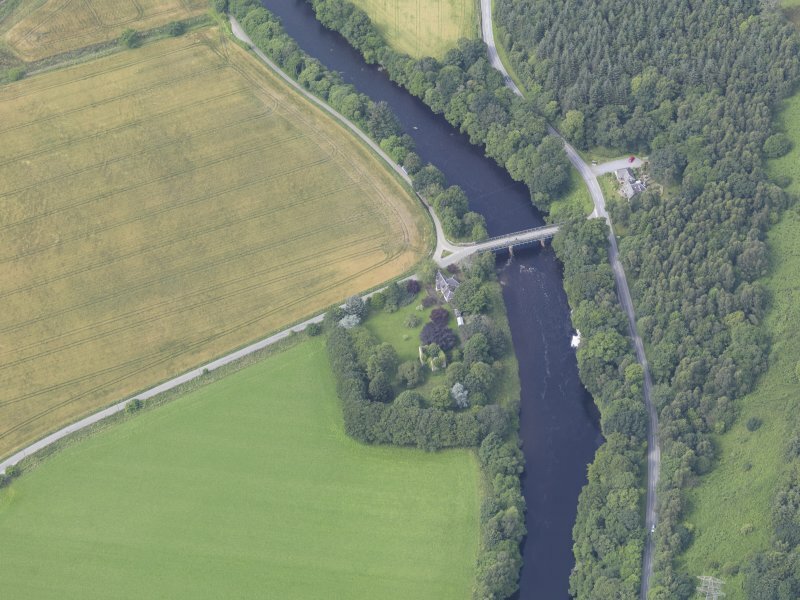 Oblique aerial view centred on the remains of the tower-house with road bridge adjacent, taken from the SSE. 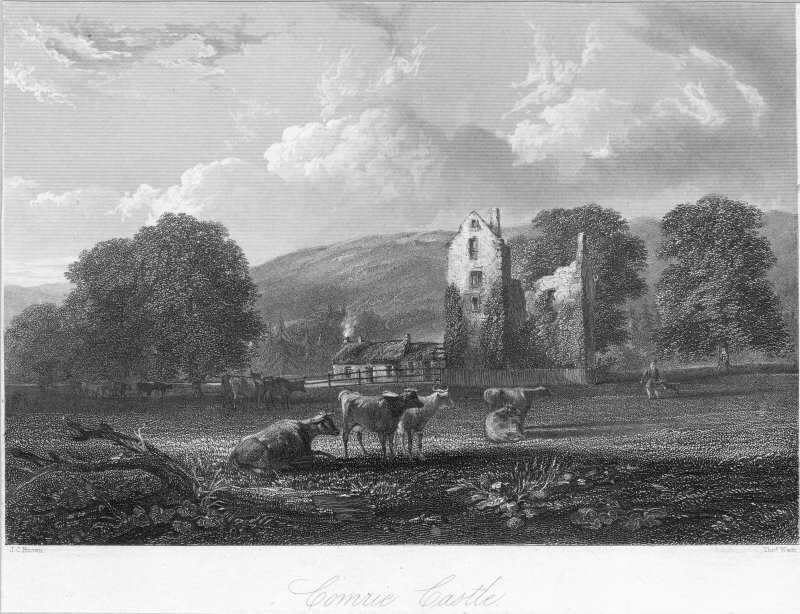 General view of Comrie Castle. 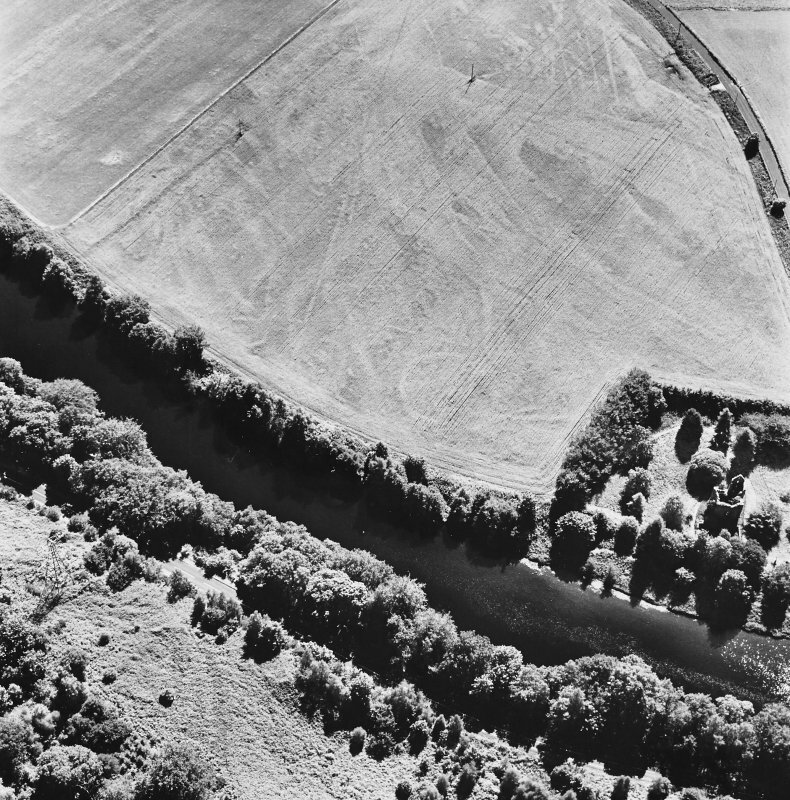 Oblique aerial view of Comrie Castle, taken from the SW.
Comrie Castle, oblique aerial view, taken from the N, centred on cropmarks including those of an enclosure. 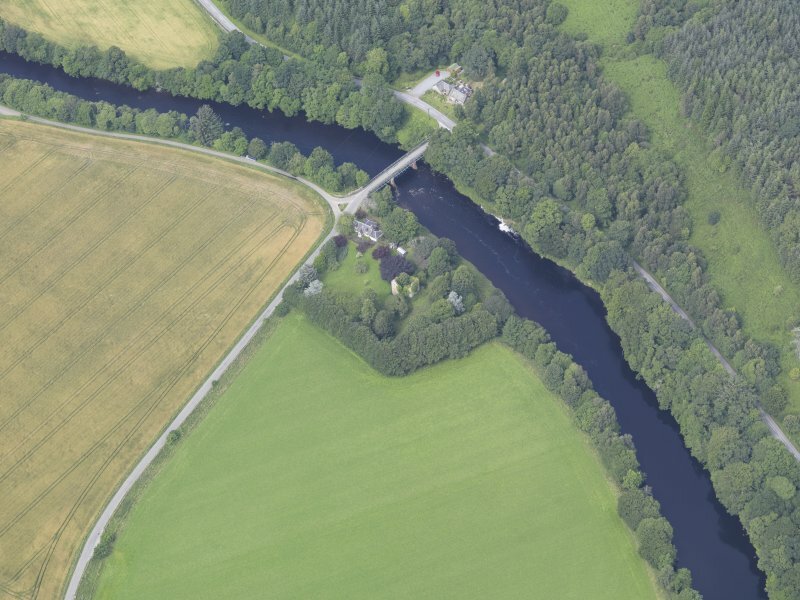 Comrie Castle is visible in the centre right of the photograph. 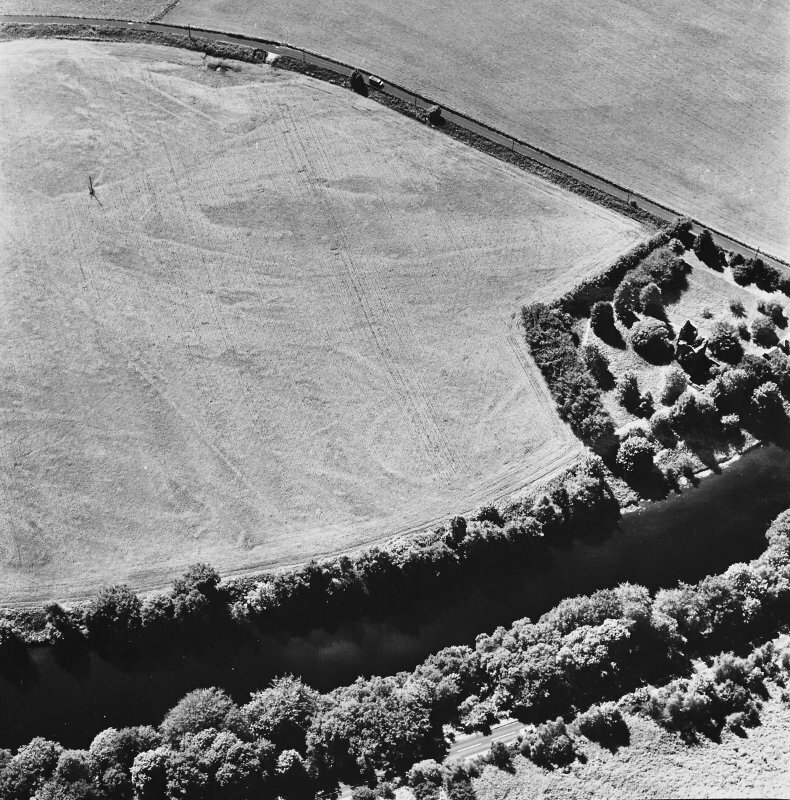 Oblique aerial view centred on the remains of the tower-house with road bridge adjacent, taken from the WNW. 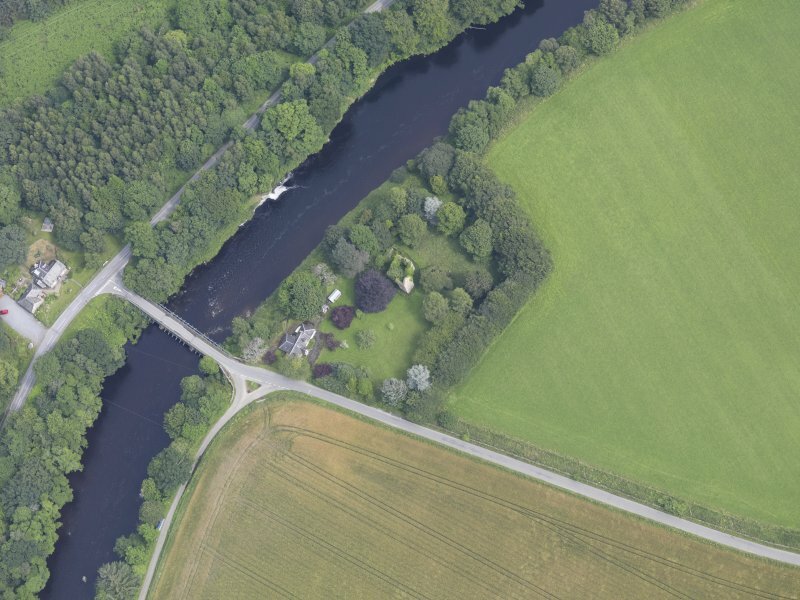 Oblique aerial view of Comrie Castle, taken from the SSW. 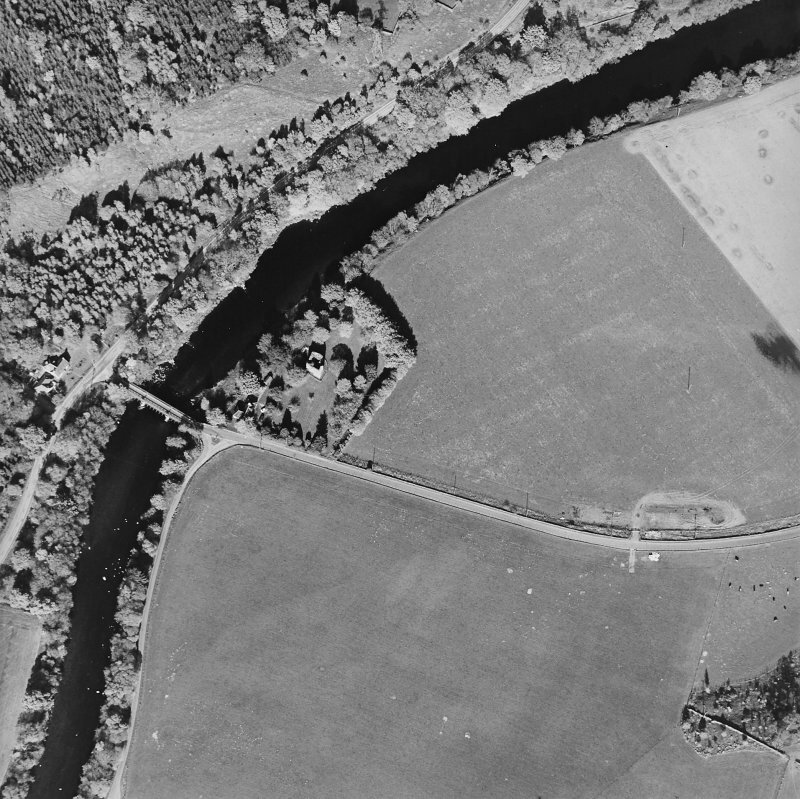 Comrie Castle, oblique aerial view, taken from the WNW, centred on cropmarks including those of an enclosure. Comrie Castle is visible in the bottom half of the photograph. 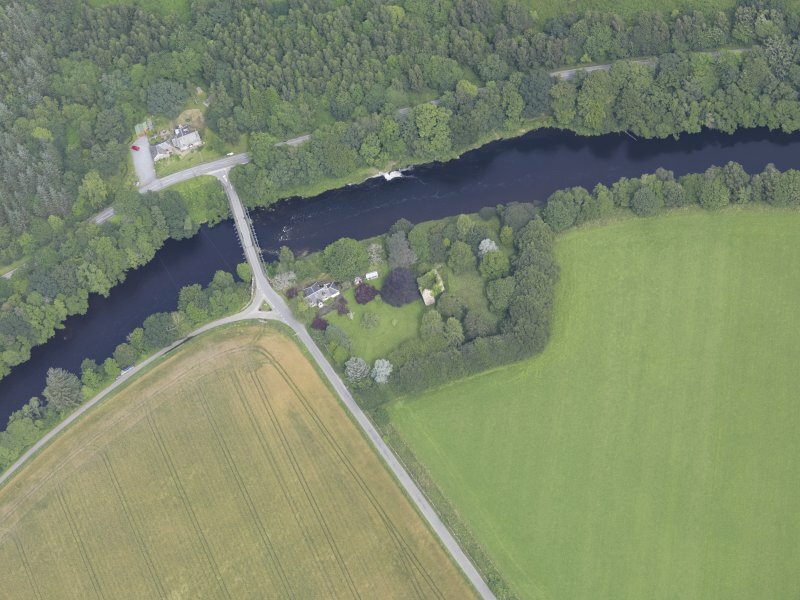 Oblique aerial view of Comrie Castle, taken from the SSE. 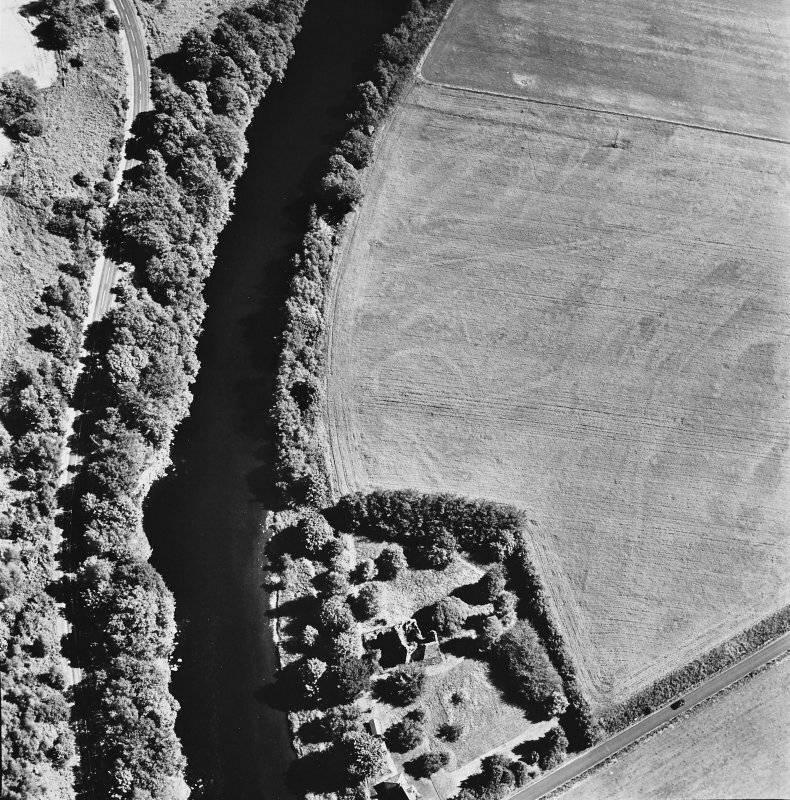 Comrie Castle, oblique aerial view, taken from the SE, centred on cropmarks including those of an enclosure. 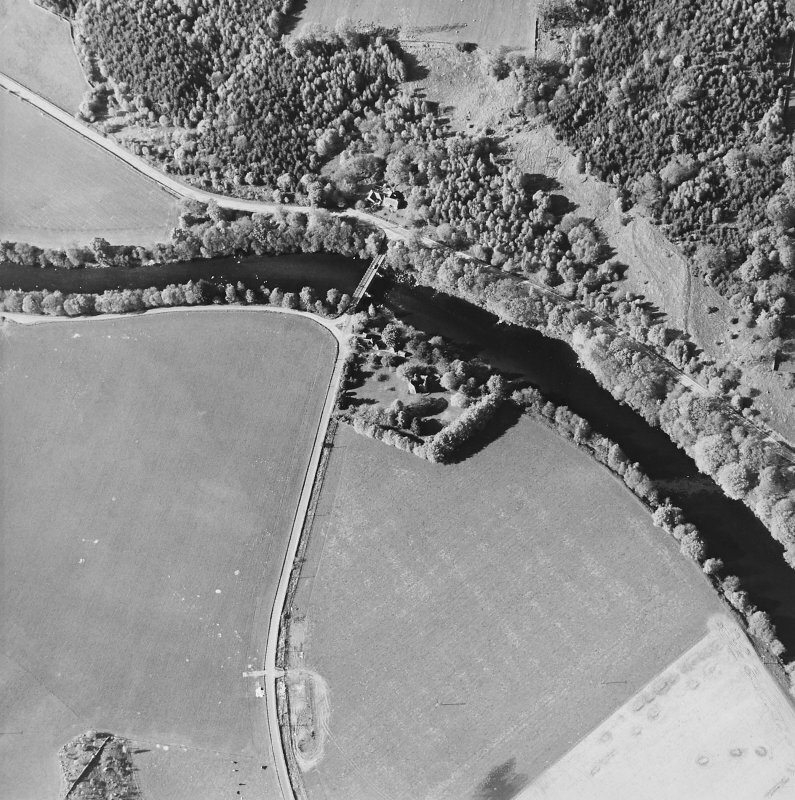 Comrie Castle is visible in the top centre of the photograph. 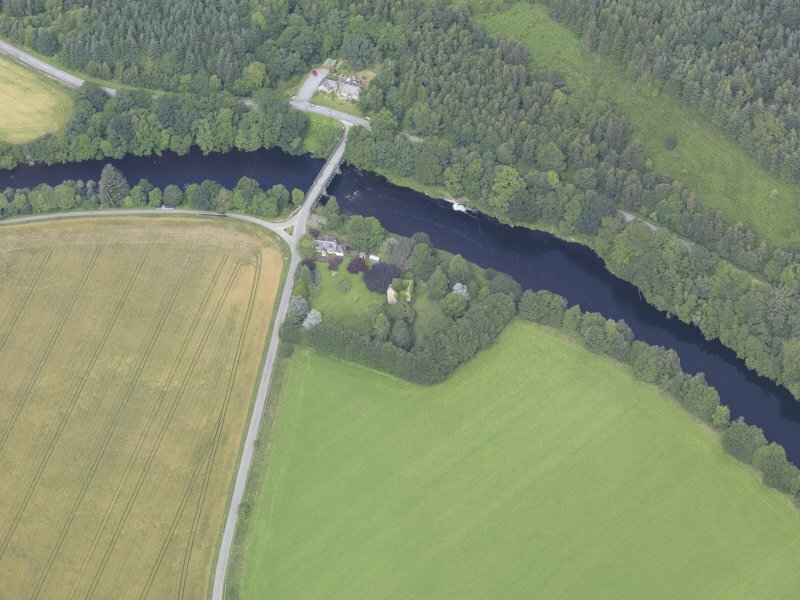 Oblique aerial view of Comrie Castle, taken from the ESE. 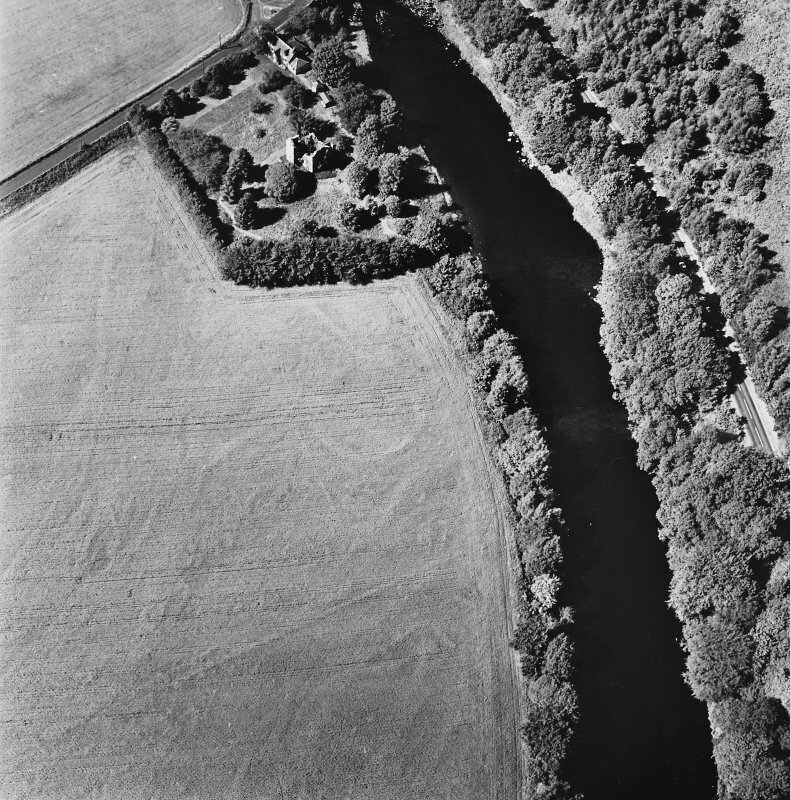 Oblique aerial view of Comrie Castle, taken from the S.
Comrie Castle, oblique aerial view, taken from the NE, centred on cropmarks including those of an enclosure. Comrie Castle is visible in the centre right of the photograph. 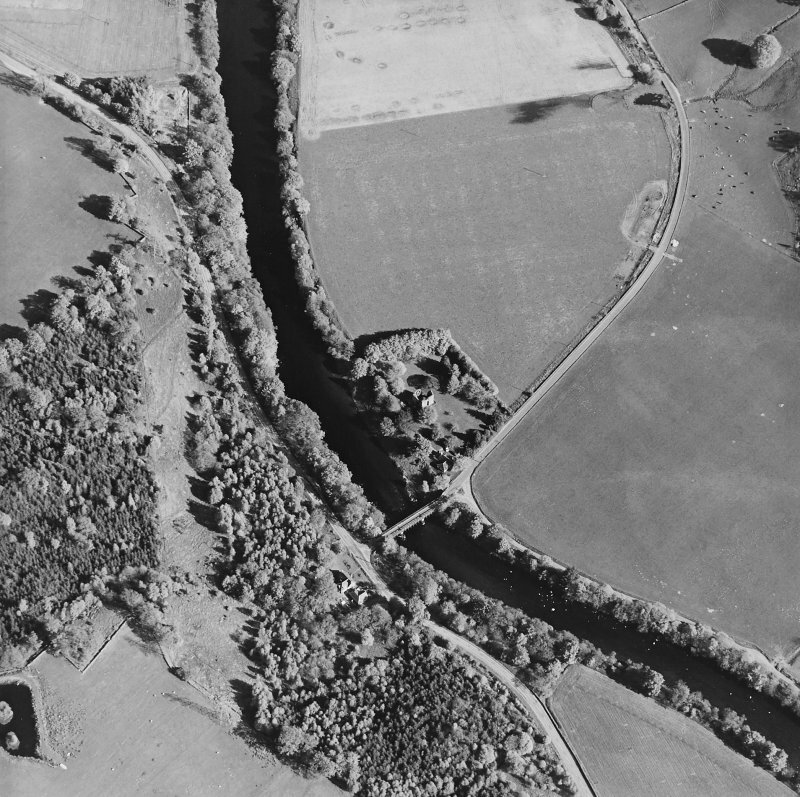 Oblique aerial view centred on the remains of the tower-house with road bridge adjacent, taken from the NW. A small keep on the River Lyon. The main block is 26' x 19' with a square tower at the SW angle containing a circular staircase. It was the original seat of the Menzies family but having been partially burned down in 1487, they built and removed to Castle Menzies, after which, about 1600, Comrie Castle was repaired and occupied by the younger branches of the family. It was occupied in 1715 as a dwelling, but has long been in a ruinous condition. Comrie Castle is a tower house on the L-plan exhibiting late 16th century features. There is no trace of the earlier castle. The main block measures 8.6m E-W by 6.8m N-S overall, with a well-preserved barrel-vaulted basement. The upper floors have collapsed. At the SW corner is attached a square tower (4.4m E-W by 4.1m N-S overall) surviving to gable height, with the doorway in its S wall. It is built slightly askew to the main block. The castle walls are well provided with rectangular gun-loops with circular perforations. Nat. Lib. Nattes Library drawings Vol 14 3-4 - 3 drawings.